Is it just us, or does summer fly by WAY faster than the rest of the year? Well that’s not right, we’re just not having it. So, while we know we can’t actually issue summer a speeding ticket, here are some Butter ways to keep the summer going long past Labor Day. Take that summer! Hit the store. Then the beach, the park, or your yard…break out a blanket or an air lounger (check these out! ), crack open some cool, creamy Butter Chardonnay, and soak up every last ray of summer sun. It’s a crazy-comfy mini vacation (even just 15 or 20 minutes!) when you can at least pretend you have nothing to do. Yes. You. Can. Just grill it. Your barbecue isn’t ready to give up on summer, either. Butter keep it simple—invite the neighbors, make it a potluck, pour rich, fruity JaM Cab with a burger, and turn up the JaMs. Plus we made a Summer JaMs playlist especially for you. Welcome. Pack a picnic. Truth: food tastes better when you eat it outside. Doesn’t matter if it’s PB&J, deli sandwiches, or 101 creative 20-minute recipes like these… for a Butter picnic, just add chilled, fresh Butter (see what we did there?). Yep. Backyard sleepover. Maybe you didn’t check camping off your summer to-do list this year, but that doesn’t mean you can’t stargaze at home. Backyard sleepovers are a lot easier to plan for…stargazing maps, snacks, bugspray, JaM govinos (win a pair here! ), and your favorite splash of wine…gazing at Venus makes us crave some velvety JaM Cab…yum. Weeekday S’more Social. Some primal human cravings can’t be ignored---chocolate, fire, friends and competing for the most perfect S’more (here’s how). Just bust out the fire pit, the Jet-Puffed Jumbos, Hersheys, and graham crackers ‘cos the classic never disappoints. Wanna mix it up? Try these…and pick your favorite sip to go with it…dark chocolate plus the deep dark berries of JaM Cab, or creamy white chocolate with Butter Chardonnay? So good! The new school year can mean new friends and bigger carpool groups to share the load. Tempt other parents over for a Butter happy hour. Sip on creamy-licious chardonnay and get crazy organized with this carpool scheduler made by parents for parents. Butter makes even carpool scheduling better! Stocking up for school and teacher supplies, treat your wine supply the same way. There’s no better time to get that “Buy 6 bottles” discount, check out your nearest Butter and JaM Cab stores—we’re in a ton of new stores this Fall! Plan regular date nights, movie nights, no-grading nights. Kids and classroom schedules are all well and good…follow your own advice and make one week night all about you…#winewednesday? These 50 easy steps to scheduling date night made us howl. Hint…sip and read! Don’t panic over shorter days, make your evening routine work for you: clothes picked out; gym shoes by the door; lunches made. And the best part? 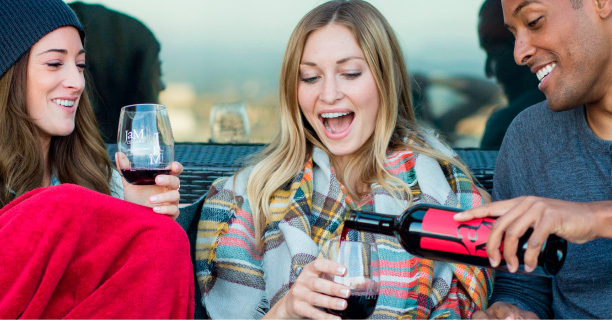 Shorter days means wine o’clock earlier… “Yes, yes it does!” As you pour another glass of that berry-licious JaM Cab! Butter Get Pack'n For Ohana! We’re so amped to be pouring at this year’s Ohana Fest! 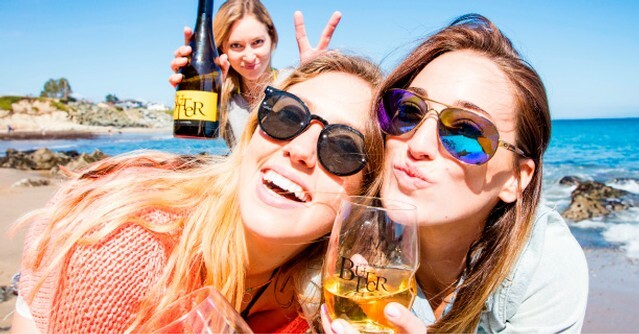 Whenever you bring Butter Chardonnay, JaM Cab and Toast Sparkling and amazing music to a gorgeous SoCal beach, you know it’s going to be a great time. But to help make those three days extra delicious, we put together this list of the concert hacks for Ohana. See you all at the ButterBar! The Outfit. Fun colors and statement pieces are mandatory #festivalwear at a beach concert! (Butter yellow’s always a great choice!) A swimsuit wouldn’t be a bad idea, either. Beach Prep. Beaches rock like Eddie Vedder, but they’re also pretty sandy.... Check out these awesome tips for keeping your skin, your phone, your face, and your money safe by the seaside! Concert Essentials. The things you know you need to bring. Sunscreen. Shades. Beach Towel. Tote. Empty water bottle (refills are free). Cash—for sippin’ on Butter and snacking all weekend! Getting There. Skip the traffic and parking headaches, and pedal your way to the party. Ohana’s got a free bike valet 8am-11pm daily! Make sure to get there early, because you definitely don’t want to miss out on the dreamy Corey Harper, or the jazzy-surf duo, The Mattson 2. Bring the Kids. This is an all-ages event! Even better, kids under 5 get in free with a paid adult admission, and they might even recognize a Jack Johnson song, or two. Ohana means family, after all. You know we have a hard time saying goodbye to summer. 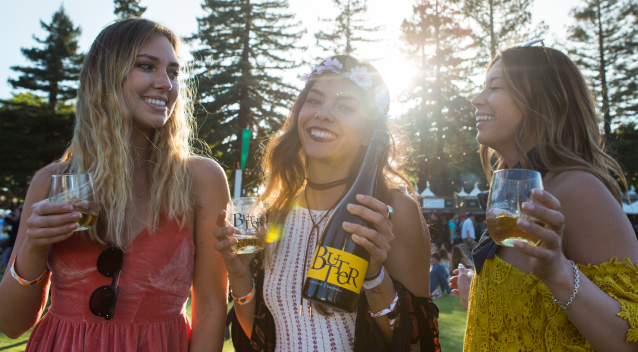 That’s why our Summer Concert Series at JaM Cellars Napa stretches all the way through September 29 this year! 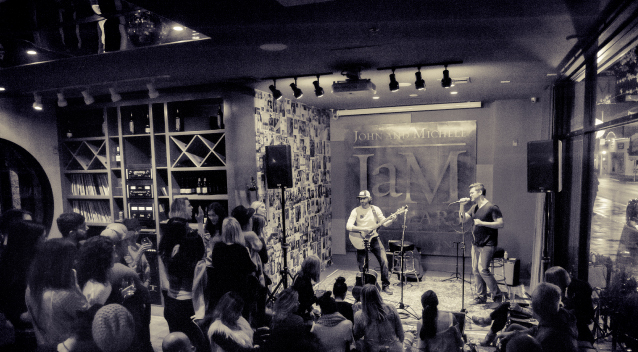 We’re hosting incredible live music every Thursday and Friday night in our downtown Napa living room. There’s no better place to get up close and personal with the artists—they’re literally inches away! Check out our poster for the awesome talent that’s coming in August and September, and join us for easy to love wines, late-night snacks, and the best late summer JaMs in Napa Valley! You know we love to go big… and that extra Butter will never go to waste! That’s why we’re doubling down this summer with Big Butter magnums! This XL size gives you TWO regular 750ml bottles of easy-to-love, creamy-licious Butter Chardonnay in one. They’re big, they’re beautiful, and they’re ready-made for summer! Perfect for big parties, big birthdays, and any day that ends in “y”. 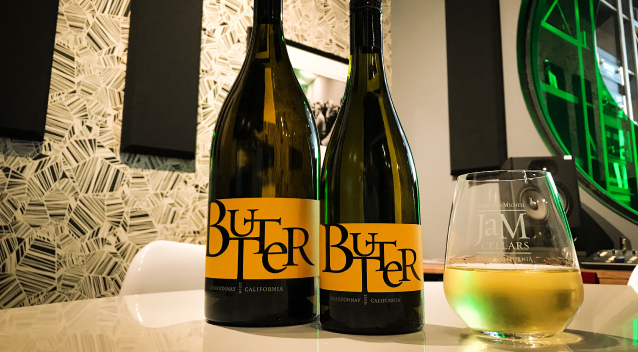 Look for Big Butter coming soon to big box stores and retailers near you, or stop by JaM Cellars in Napa. Go big this summer, and send us your Big Butter selfies using hashtag #BigButter!